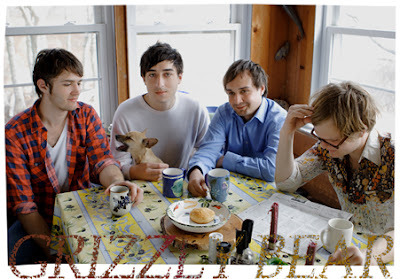 Everyone everywhere speaks highly of this band called ‘Grizzly Bear’, and that just makes me nervous in case of what I write might do their music some injustice. Therefore there’s no better way to start off than by describing the music that this band makes is just (I will not use a cliché term, I will not use a cliché term) – beautiful. Exquisitely beautiful. Insanely serene harmonies that are almost hypnotic, with intricately layered vocals accompanied by an atmospheric quality. I find these kinds of music are the kinds that you can easily lose yourself in while aimlessly watching the world go by. It’s scary to think so, but tempting at the same time. Yellow House is the second full-length album for this Brooklyn based indie-rock band. But, a few tracks in, you realize the music isn’t as indie rock as much as indie rock should be. Regardless, the record was ranked as the top 2006 albums by both New York Times and Pitchfork Media. So, just what makes this record so damn good? Well, you’ve got tunes like ‘Easier’ and ‘Lullaby’ to start off with.